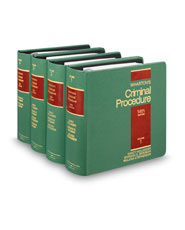 Use this multiple-volume set as a first-search reference for handling criminal cases. Expert resource provides essential coverage of the law by thoroughly analyzing common-law development and criminal procedure. Text traces statutory and judicial changes, as well as modifications, in common law. Subjects include criminal and juvenile court, venue, arrest, extradition, preliminary hearings, search and seizure, and grand juries. Addresses indictment, bail, arraignment and pleas, pre-trial motions and objections, and discovery. Discusses self-incrimination, trial, opening statements, and closing arguments. Complete post-trial coverage, including charge to jury, jury separation and deliberation, verdict, motions, sentence, punishment, appeal, and post-conviction remedies.